It Is Time We Take Joe Solowiejczyk's Advice. Life isn't just about numbers. Type 1 kids have to do what they need to do to stay health. This includes mentally healthy. We all need to understand it is OK to hate diabetes. 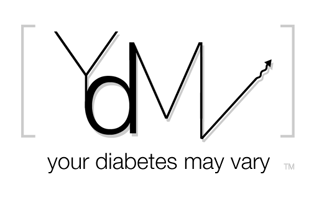 What is a more prominent symbol of their diabetes than the ever present meter and its numbers? Totally surprise your type 1 family member by stopping the car, getting the meter out and running it over. Kill the meter. If running it over with the car does not do it, smash it with a hammer or a rock. Let your family know it OK to dislike diabetes - take it out your frustrations on a meter! Think Wack a Mole with out a padded wacker. Gallagher were are you when we need you? So my friends here is the first ever YDMV video challenge. Smash a meter. Put the video on YouTube. Anyone have an asphalt roller? Just exactly how flat can we get one of these things? Omg, I love the video, guys!!!! I think Morgan is getting to the point of wanting to run over his meter with his wheelchair. Hilarious! I give that video 4 thumbs up ... two for you and two for Delaney! Hilarity ensues! You folks have given me an idea. Take one Hummer H1, take one inaccurate BG meter, run over meter with Hummer whilst girlfriend tapes it with a pro grade videocamera in HD. If Hummer won't do it, we'll use a Cadillac Escalade! Alternatively a semi-truck or steam roller would satisfy. Soundtrack would be a punk rock group a la The Clash! Thanks guys you made my Hannah laugh!!! Which makes me smile too:) Keep keeping it real for us. Hi Delaney - My son loved your video! Funny, thanks for the laugh. Now I've got to figure out the best way to do this to my meter.